Let’s all get lost in that jungle with them! BTW, ok if I come to the party? I thought my computer was regressing back in time! Hey, so excited – I’m invited to the party too!! Welcome Back ESS!!! Missed you!!! I’ll gladly get lost with them any day!! Camo thigh holster, what a surprise, love this pic! 😉 the bookmark’s still on my phone!! I truly loved this side, and I’m already loving your new home. I came here daily and plan to do so on your new web. I’m sure when all the glitches are gone, it will be total fun to see what you guys will be up to in the future. The only thing I still need to get used to is that there is only one email with the new posts. It’s really a shame not get a notification right after a post is up. Thanks again, and all the best to the whole team. 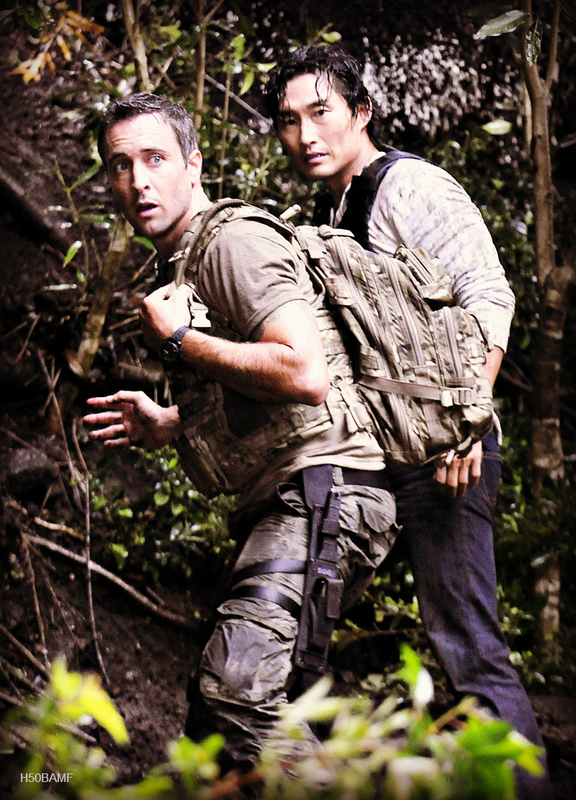 Hot sweaty Alex………Yum………What a sign out from H50Bamf even it was a forgotten post. I thought you were moving?? Um… What’s up? ?